27.07.2014. Glasgow, Scotland. Glasgow 2014 Commonwealth Games Day 4. 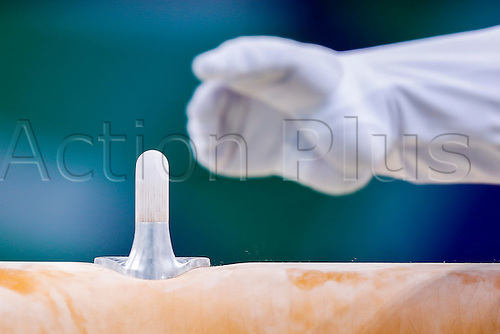 Artistic Gymnastics Podium Training. A detail of the Pommel.